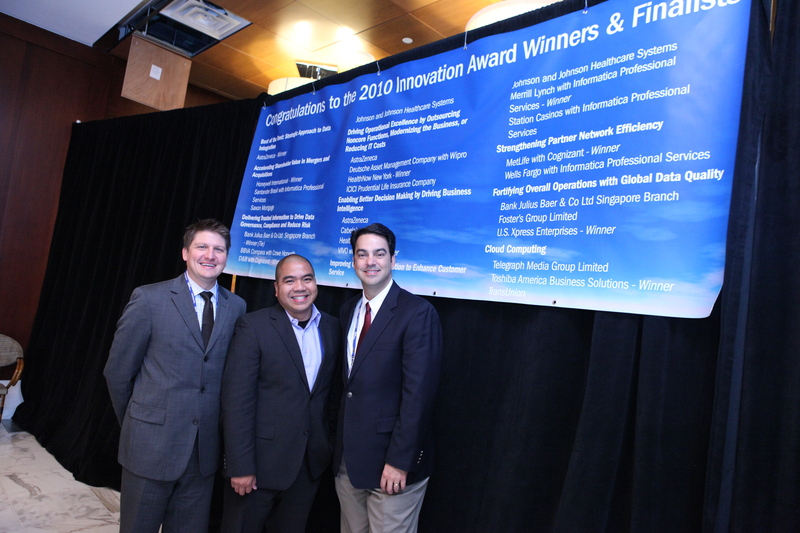 Last year’s winner in this category was Toshiba Americas Business Solutions. Here’s the case study and a picture of the award winner. Be sure to submit your nomination no later than May 6th here. Did I mention that the Informatica Cloud team is hiring? Be sure to check out some of the available sales, marketing, and engineering positions that are now open in Redwood City, Boston, London, and Bangalore here. It was a pleasure to moderate a great session at Dreamforce 2010 on the topic of Salesforce integration. It was a standing-room only session, with the focus on the benefits of CRM integration for sales. Featured sales operations speakers were from TransUnion, Life Time Fitness and Toshiba. I’ve also posted the slides here. The good folks at SIIA stopped by the Informatica booth at Dreamforce 2010. Here’s a quick video of our conversation about Informatica Cloud. Another great Informatica Cloud case study was published today. Drives timely pricing and margin analysis by replicating latest sales data in the cloud into the company’s on-premise business intelligence environment. Empowers line-of-business users to manage day-to-day data integration and replication tasks, freeing IT resources for other high value work. Eliminates hand coding: what used to take up to a month of custom development is now accomplished in a few hours. Promotes data governance and business and IT collaboration with improved information access and visibility across multiple applications and data sources. The Informatica Cloud Data Loader Service was recognized by Salesforce.com in 2008 as the number one integration application on the AppExchange. In 2009 it has become the most popular *free* application (followed by Salesforce for Twitter) and the feedback has been truly amazing. The Data Loader Service is designed to automate basic loading and extraction of data between Salesforce.com, flat files, and relational databases on a daily basis. But the Informatica Cloud Data Loader Service is just the first step towards secure, powerful, and complete data integration as a service. The next step, you ask? ERP Synchronization: Opportunity-to-Order & Customer Master Synch (SAP, Oracle); Quoting Integration, etc. CRM Integration: Cases, Leads, Campaigns; Territory Management; Price Book & Product; Custom Objects, etc. Business / IT Alignment: Business self-service to trusted information; IT avoids proliferation of point solutions.